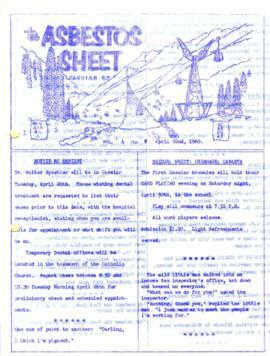 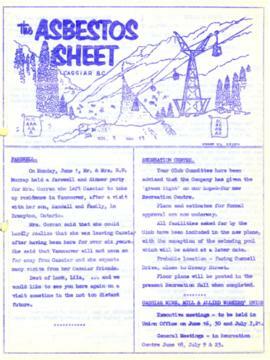 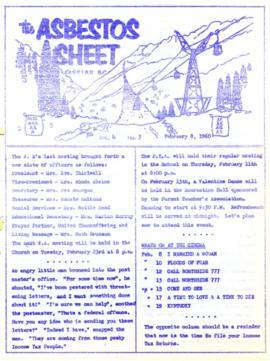 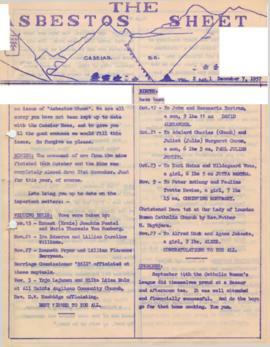 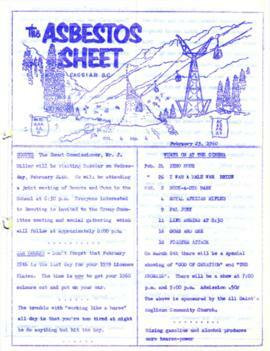 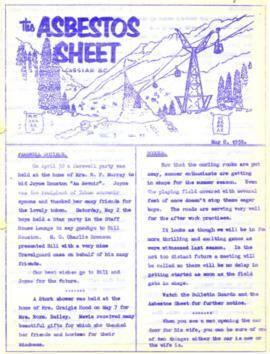 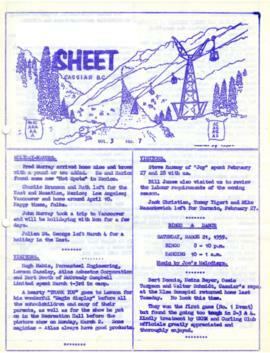 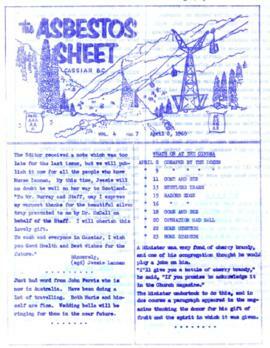 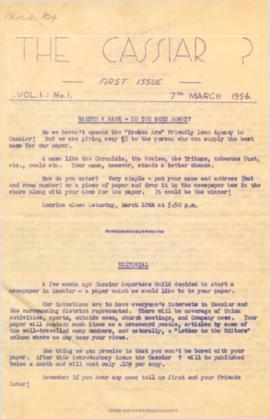 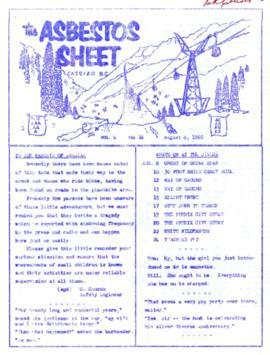 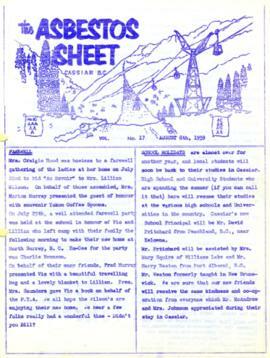 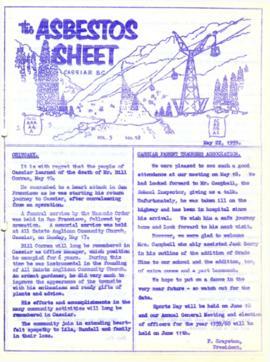 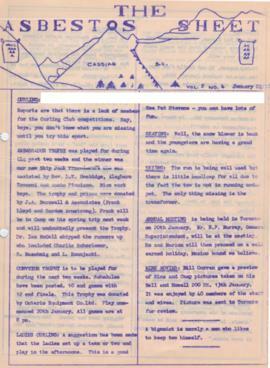 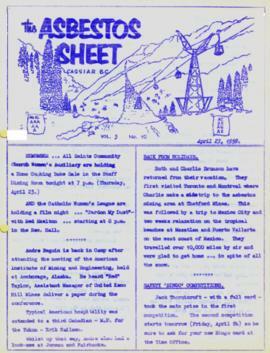 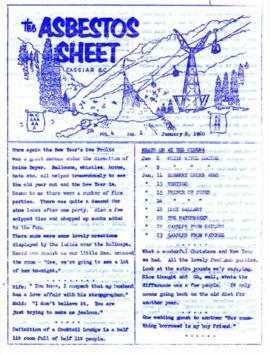 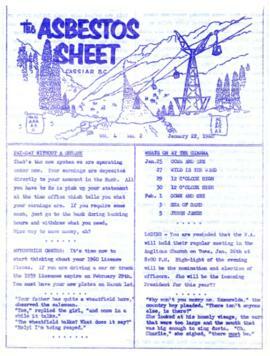 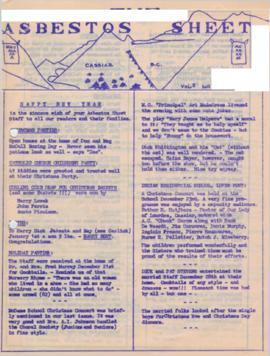 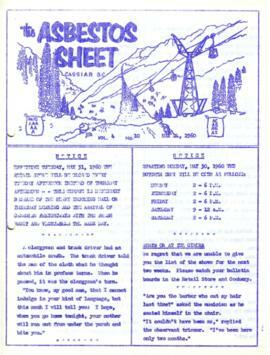 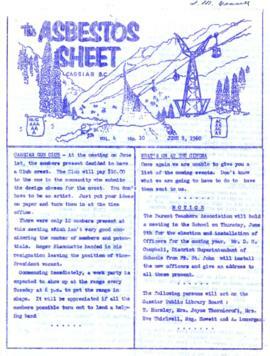 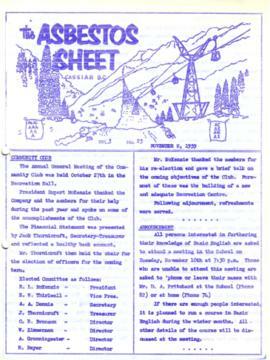 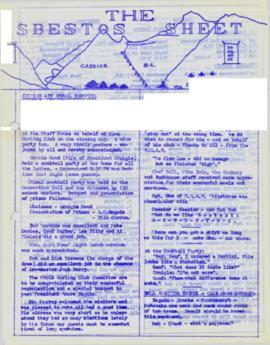 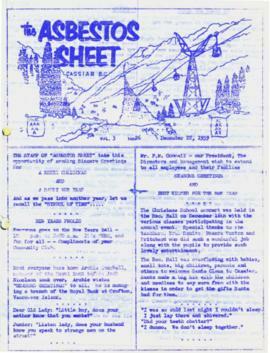 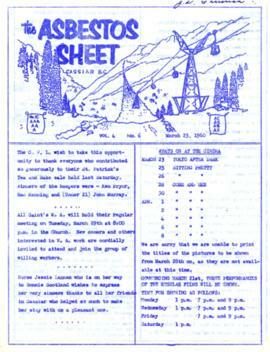 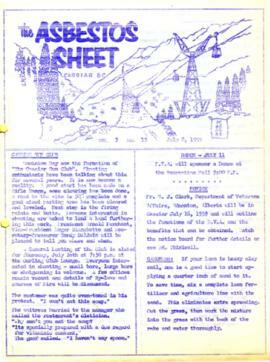 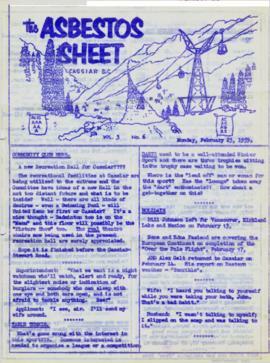 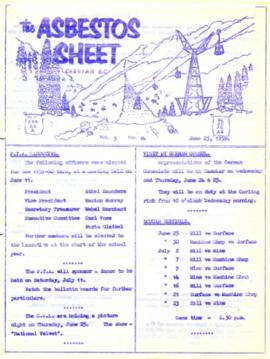 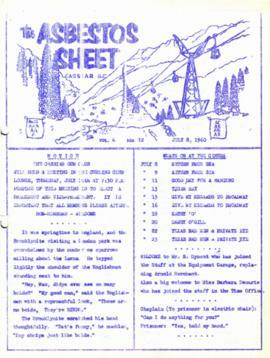 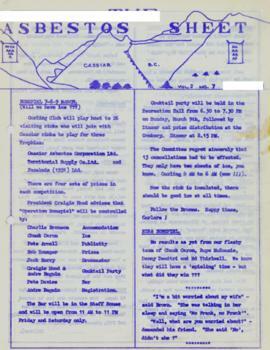 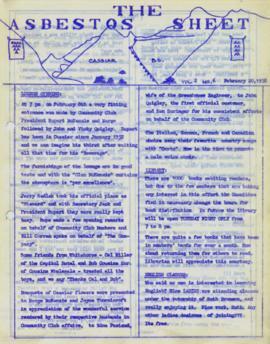 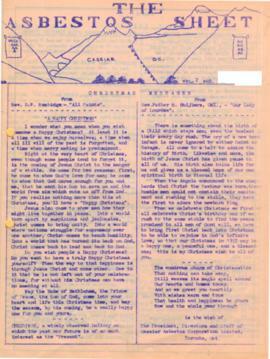 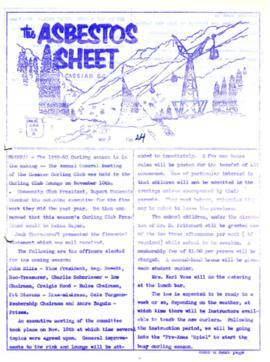 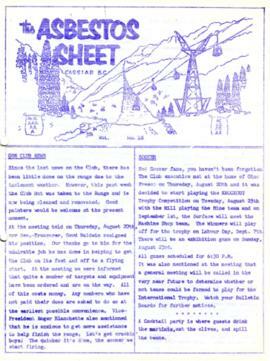 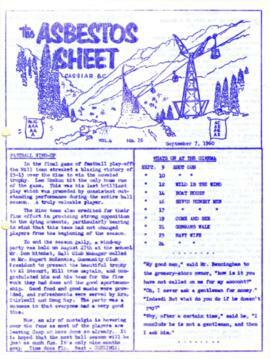 On March 7, 1956 the Cassiar Reporters Guild published one issue of an untitled newspaper simply titled "The Cassiar?" 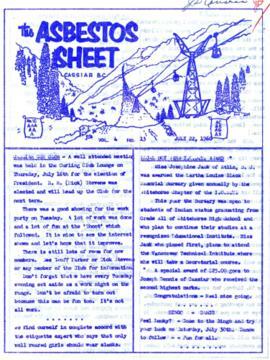 (vol.1, no.1) along with a "name that newspaper" contest call out to the local community. 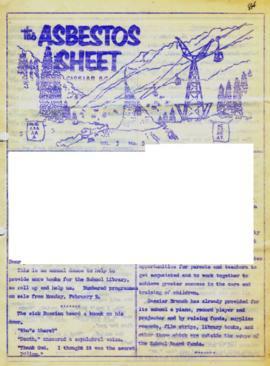 It is believed that no other issue of this first volume was published until December 7, 1957 when The Asbestos Sheet (vol.2, no.1) was published. 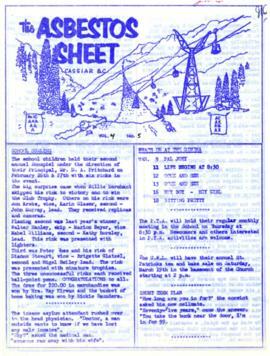 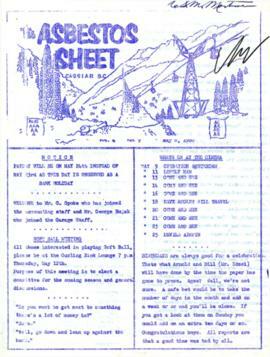 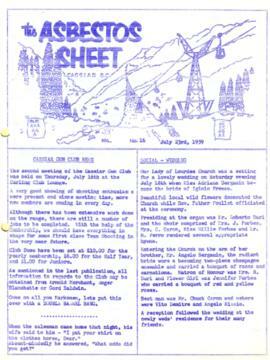 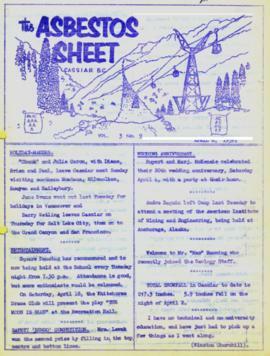 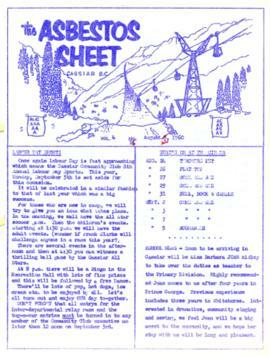 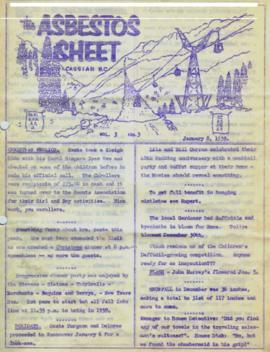 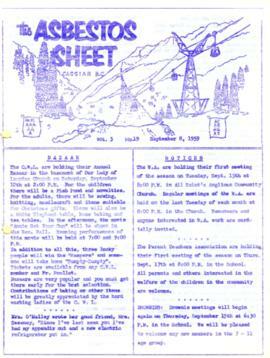 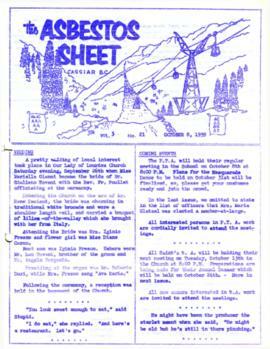 The Asbestos Sheet, was generally published twice a month and ran from December 1957 to September 1976; after which time both its name and its format changed: the 8-1/2 x 10" news bulletin changing to an 11 x 17" newspaper; and The Asbestos Sheet becoming the Cassiar Courier. 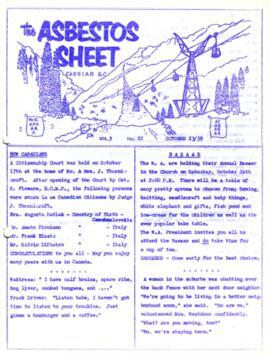 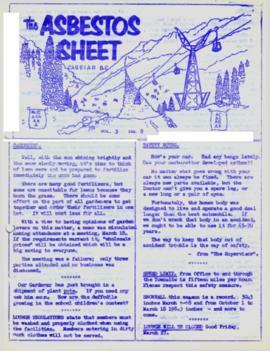 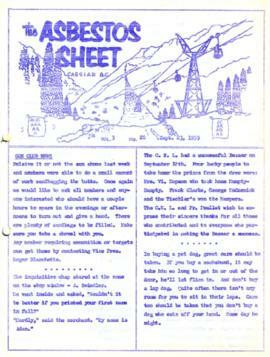 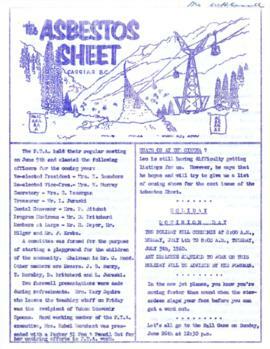 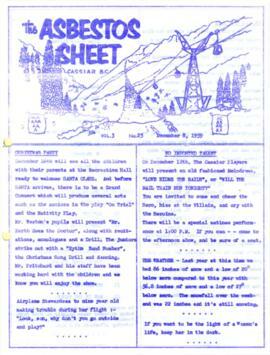 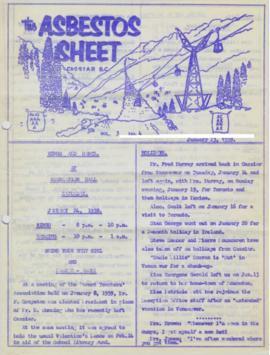 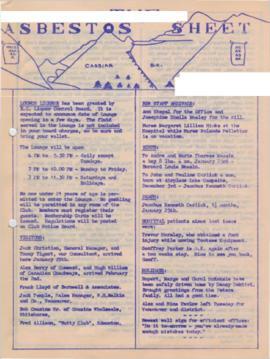 The Courier was published monthly from fall 1976 until February 1991 when it stopped circulation shortly before the closure of both the mine and the company town.